The Fjord 38’ Xpress is without a doubt the most sporting Yacht in the Fjord fleet. Since its presentation in 2017 this Fjord has incorporated features of its larger Sister ship with a table layout which seats 8 persons comfortably and converts into a spacious sun bed for three. 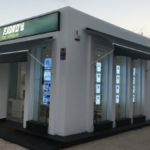 The bow area accommodates a table with seating for six persons and can be fitted with an electric table which lowers to convert into a forward sunbed as well. 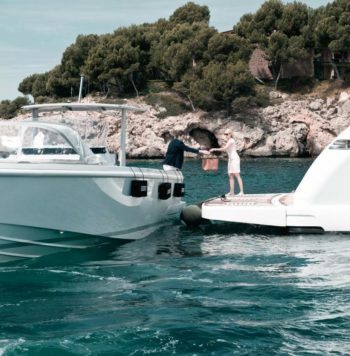 Two brilliant spaces enhancing layout solutions for a yacht with Outboards. 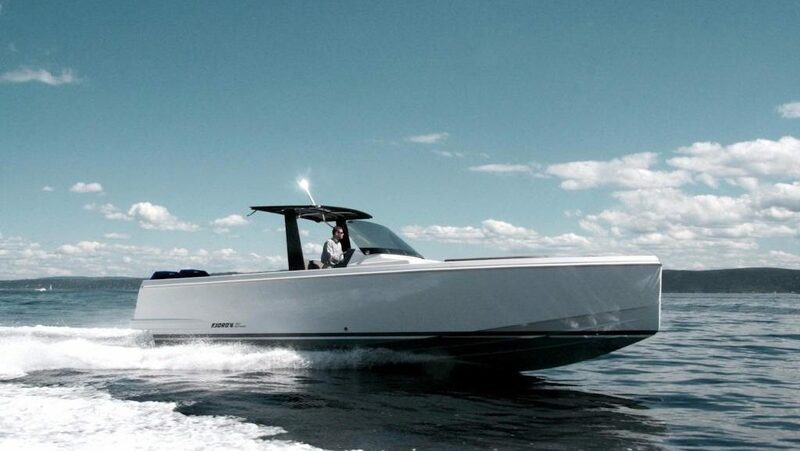 The Fjord 38’ Xpress excels her sister boat the Fjord 36’ Open and achieves a top speed of 45 Knots. 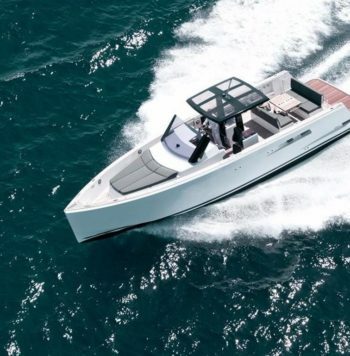 This Yacht offers both exhilarating sensations for speed lovers as well as ample space on deck for more relaxed navigation. 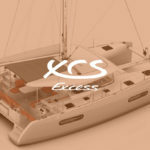 The 38’ Xpress retains the full Fjord DNA. A safe open boat with a high free boards and a flush hand rail which allow for a comfortable walk around from Bow to Stern. 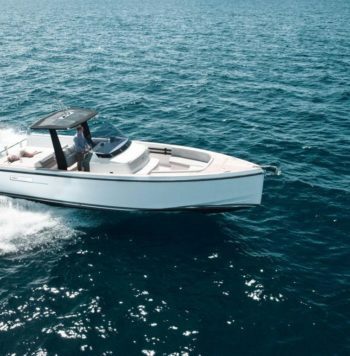 The central Console accommodates an optional Galley behind the seating of the steering position, this allows for ideal day cruising and island hopping. The Fjord 38’ Xpress enables you to get together with family and friends in two separately defined areas without feeling over crowded. The shade is guaranteed with forward and stern biminis attached to the tubular T-Top. The privacy offered by the comfortable full height bath room in the Cabin is unmatched in this range of boats with two doors separating you from the outside deck area. You can specify her as a Mega Yacht tender, family Yacht or for Watersports…. A boat which can be adapted to your particular needs. With twin Mercury 350’s and optional joystick, the Fjord 38’ Xpress yacht is easy to handle and can be anchored in shallow waters. 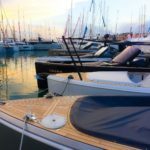 For watersport lovers the deck can be configured flush and diaphanous to allow the handling of the desired sports equipment. The huge hold under the aft deck area can accommodate all the necessary for fishing or diving gear, even a small dinghy with outboard. This Fjord boat is unique in its kind and is without a doubt a design icon.